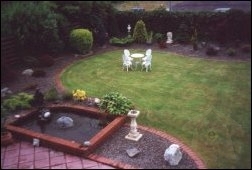 Tree Tops Town Home is situated on Cleveragh Road, off Pearse Road, Sligo Town, 5 minutes walk from town centre. All bedrooms are Ensuite with TV, Hairdryers and Tea/Coffee Making Facilities. A Non Smoking Home with Frommer, Lonely Planet, Guide du Routard, Best B & B, Rough Guide and many recommendations. Wireless Internet connection.